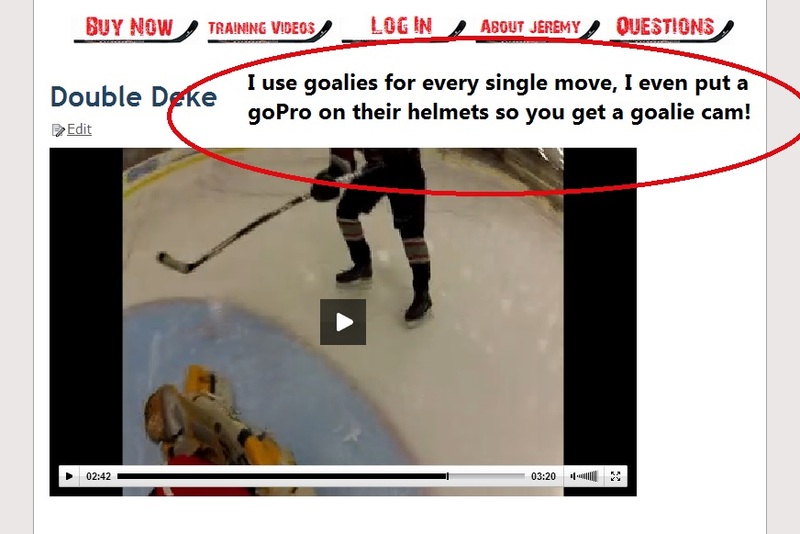 Goalie Buster - Breakaway Training Videos | Score more goals! 20+ moves YOU can use to beat the Goalie! Learn when, where, and how to use 20+ moves to score! 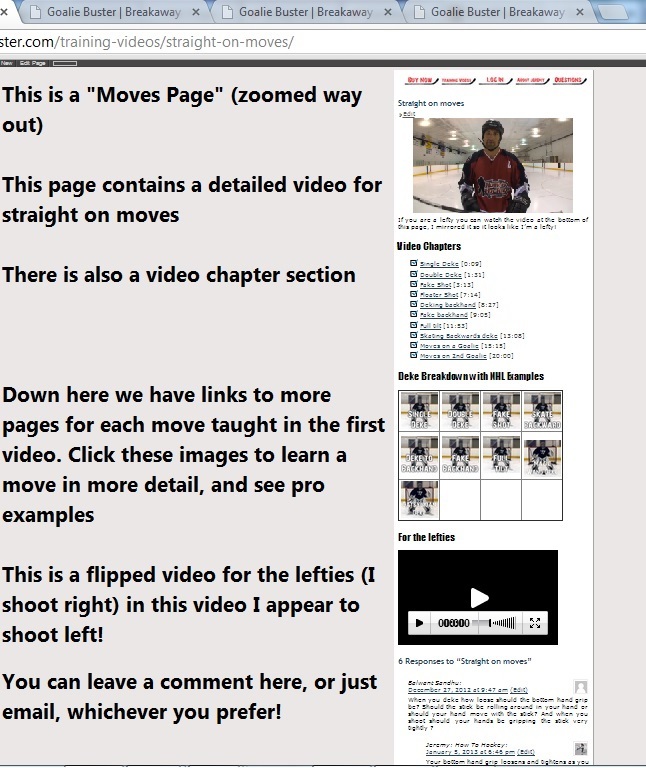 Each move is broken down with step-by-step video instruction, pro examples, and a breakdown of when the best time to use the move is. 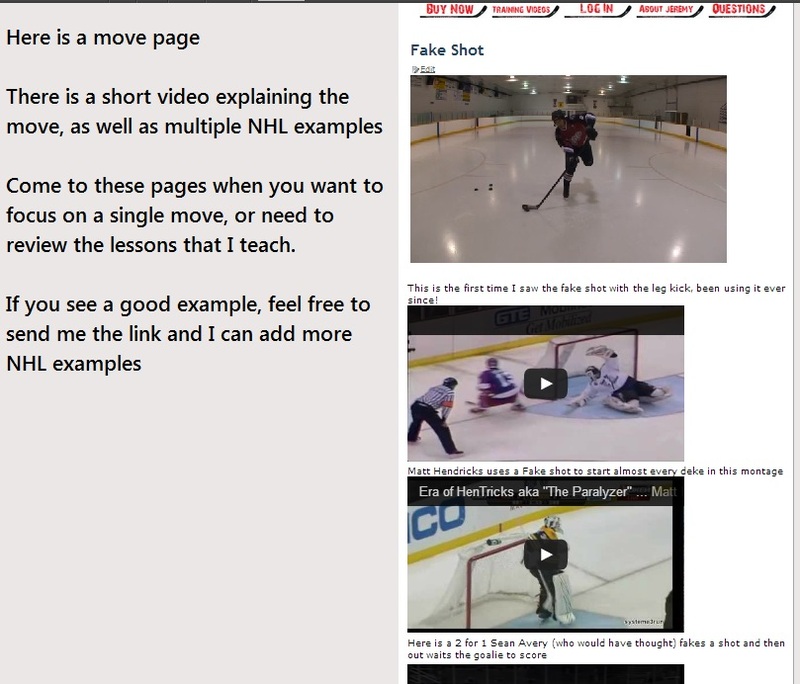 I also include training videos on reading the goalie, shooting, and more. You will learn how to do every single move, and then see multiple examples of the pro's doing the moves, just like I explained. I demistify the moves so you can understand exactly how to perform them. From time to time I will add new videos to the course based on feedback from members (or maybe you!). These videos are added free of charge to help keep you sharp, and scoring goals! 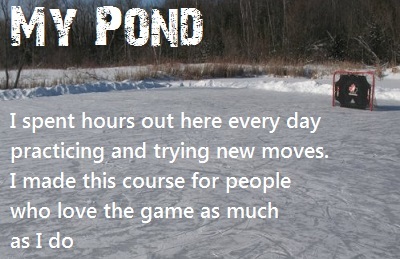 You'll learn fun moves to use at practice, or even in games if you're brave enough! After studying the videos you will understand what it takes to beat a goalie, and after some practice you will be able to do it! If anyone needs confirmation these vids are legit and worth the money. Watched them last night and they are well thought out easy to follow. I also got the stick handling guide at discount which is cheaper than a stick time session. Honestly hope the guys in my area don't read this though ... Jeremy thanks again for these and please keep making them! Hey Jeremy! Great vids, very easy to understand and mimic. I myself don't play but my sons do and a couple of days ago I showed them the vid about how to make the Datsyikian deke. 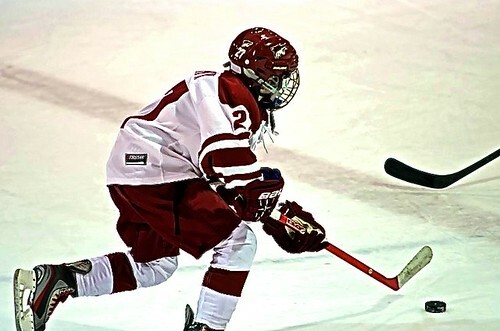 Then my eldest had a game just a few days after and guess what the little guy does on his first breakaway in game??? You got it, he pulls it off and I'm pretty sure the goalie is still wondering what happened, lol. It was crazy, cause he didn't even have any real practice time on the deke either. Learn new moves now, use them for life! I'm a coach, and I want YOU to improve. If you don't learn anything, then I don't deserve your money, that's just not fair! I guarantee that these videos will help you score more goals, teach you how to beat the goalie, and learn a bunch of great new dekes. If you don't improve I will give you a complete refund no questions asked.